Corporate Attorney. Kentuckian. College Basketball Aficionado. Tyler graduated from Emory & Henry College in 2014 with a degree in Economics and Political Science. In 2017, Tyler graduated from the University of Kentucky College of Law. During law school Tyler served on the Kentucky Journal of Equine, Agriculture and Natural Resources Law. Tyler was also on the Executive Board of UK Law’s Federalist Society. While in law school, Tyler worked in-house for Blackhawk Mining, LLC as a law clerk. Tyler served as an intern for Senator Rand Paul in his Washington, D.C. office during the summer of 2015. He also spent several semesters working as a law clerk for Boehl, Stopher & Graves, LLP in Lexington, Kentucky. 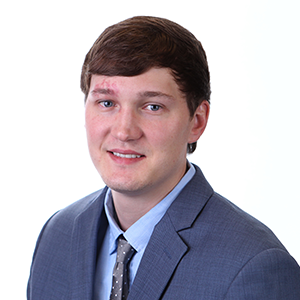 Tyler focuses his practice on entity formation and corporate transactions.